FINCA’s microfinance subsidiaries are owned or controlled by FINCA Microfinance Holding Company LLC (FMH), a unique social investment partnership created to help FINCA scale up and serve more people in need. FINCA International, a 501(c)(3) not-for-profit corporation, is the majority owner of FMH, which operates under the trade name of FINCA Impact Finance. We are honored and grateful to be joined by six outstanding partners who share our mission: IFC (International Finance Corporation), a member of the World Bank Group; KfW, the German development bank; FMO, a Dutch development bank; Zurich-based responsAbility Global Microfinance Fund; Triple Jump, a Netherlands microfinance investment firm; and Netherlands-based Triodos Bank. FINCA Impact Finance is a “double bottom line” company dedicated to delivering both sustainable financial performance and social impact. IFC, a member of the World Bank Group, is the largest global development institution focused exclusively on the private sector. Working with private enterprises in more than 100 countries, they use their capital, expertise, and influence to help eliminate extreme poverty and promote shared prosperity. In FY13, their investments climbed to an all-time high of nearly $25 billion, leveraging the power of the private sector to create jobs and tackle the world’s most pressing development challenges. Established in 1948 as a public law institution, KfWBankengruppe is today owned 80% by the Federal Republic of Germany and 20% by the federal states (“Länder”). With a balance sheet total of more than EUR 440 billion, KfW is one of the world´s leading and most experienced promotional banks. As a bank with no branch network or customer deposits, it refinances its lending business almost exclusively in the international capital markets. KfWEntwicklungsbank is part of KfWBankengruppe and a competent and strategic advisor on current development issues. Reducing poverty, securing peace, protecting natural resources and helping to shape globalization are the main priorities of KfWEntwicklungsbank. On behalf of the German Federal Government it finances reforms, infrastructure and financial systems for socially and ecologically compatible economic growth in more than 110 countries. It is a worldwide financing partner, and it also employs funds of its own for development projects. 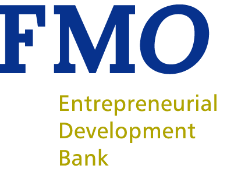 The Netherlands Development Finance Company (FMO ) is the Dutch development bank. FMO supports sustainable private sector growth in developing and emerging markets by investing in ambitious entrepreneurs. FMO believes a strong private sector leads to economic and social development, empowering people to employ their skills and improve their quality of life. FMO focuses on three sectors that have high development impact: financial institutions, energy, and agribusiness, food & water. With an investment portfolio of EUR 6.3 billion, FMO is one of the largest European bilateral private sector development banks. Founded in 2003, responsAbility Social Investments AG is one of the world’s leading private asset managers for social investments. It specializes in sectors such as microfinance, SME financing, fair trade and independent media. With its products, including the responsAbility Global Microfinance Fund, responsAbility enables people in developing countries and emerging markets to access markets, information and other services crucial for their development. Private and institutional investors can thus professionally contribute to positive social development while at the same time achieving a financial return. At present emerging market assets under management amount to USD 1.8 billion. TripleJump‘s mission is to contribute to the sustainable development of emerging market economies by facilitating investment in micro and small enterprises. Triple Jump seeks to support the expansion of viable microfinance institutions in all three stages of their development (emerging, expanding and mature) by providing capital and advisory services. Their objective is to work towards effective social impact in emerging markets by harnessing entrepreneurial spirit. They focus on MFIs which are committed to reducing poverty in their society, reaching low-income and vulnerable groups, particularly women, respecting society and the environment, and achieving maximum efficiency, financial sustainability and outreach. Triodos Investment Management is a 100% subsidiary of Triodos Bank, one of the world’s leading sustainable banks. Triodos Investment Management is a globally recognised leader in impact investing, managing direct investments ranging from sustainable energy infrastructure to microfinance institutions. Since 1994, its assets under management in inclusive finance have increased to over EUR 500 million, making it one of the leading investors in the industry. Through specialised funds it currently provides finance – both debt and equity – to 104 upcoming and well-established financial institutions in 44 countries. They hold equity stakes in 21 financial institutions; senior staff of Triodos Bank joins the Board of Directors and actively contributes to the governance of these institutions.